Book the Best Hotel Rooms Panama City Beach has to offer. The 147 rooms at the Beachside Resort will become your home away from home when you vacation on the Gulf Coast of Florida. We’re located at the quiet end of the beach, so you don’t have to worry about all the noise and crowds. You can kick back and relax in the best hotel rooms Panama City Beach has to offer. Most Beachside Resort hotel rooms Panama City Beach have balconies or patios overlooking the beach, and many have full-sized refrigerators, so you can stop at the store on your way to our property. If you and your family want to stay in and cook together, request a room with a kitchenette. We’ll do our best to accommodate you, whatever makes your stay with us better. Our hotel rooms Panama City Beach are all non-smoking, and when you’re not hanging out in your room, you can unwind at our pool and hot tub, in the Gulf of Mexico or at The Reef Beach Bar. We can’t wait to help you find the best hotel rooms Panama City Beach can provide. 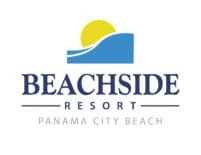 Come find out why once you stay at Beachside, you’ll never want to stay anywhere else.